I am planning for this mobile for so long! Finally i will be getting it by the end of this month. It is really a cool Digital Personal assistant! It has 6.1 mobile windows system with Pocket Office (Word, Excel, PowerPoint, PDF viewer). 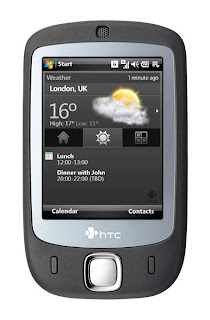 HTC Touch Viva :: I will be buying this on 5th July!